In my kitchen is an Australian colonial kauri pine dresser and in the top drawer is my collection of antique cutlery. This drawer full of treasure threatens to disgorge its heavy contents whenever I yank it open. Despite the disorder, this drawer makes me feel simultaneously happy and nostalgic. I think of my grandmothers, old fashioned soups, puddings and Sunday family gatherings. 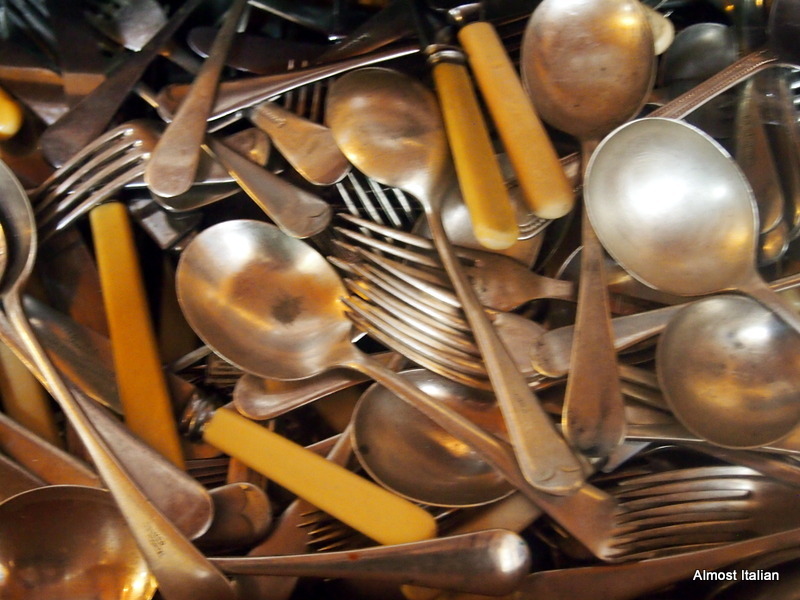 My modern cutlery, by contrast, is simply functional, quotidian and dishwasherable. It evokes little! Although still on the road in Asia, I couldn’t miss the chance for a simple little post on Celia’s monthly round of IMK. See Fig Jam and Lime Cordial for more world kitchens, cookbook recomendations and gadgets.